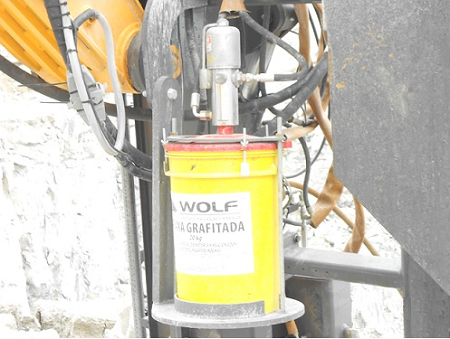 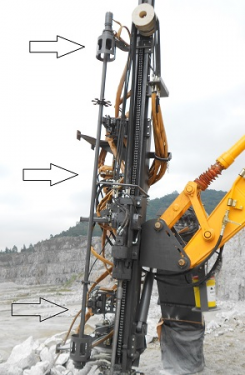 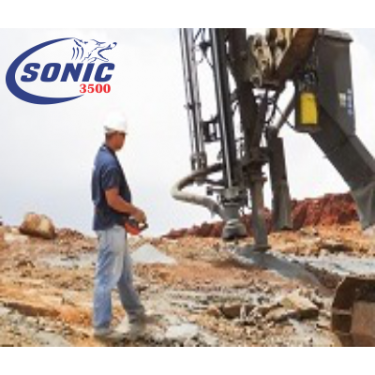 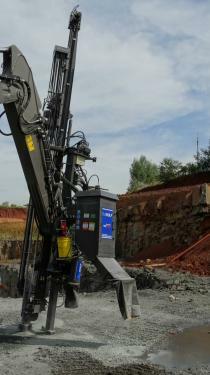 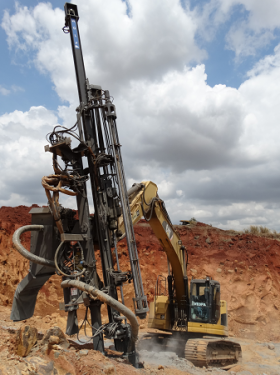 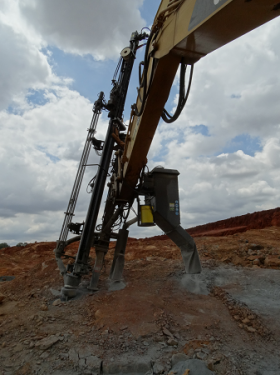 SONIC 3500, is a hydraulic drill, with top hammer system, designed for high production, and high reach with security. 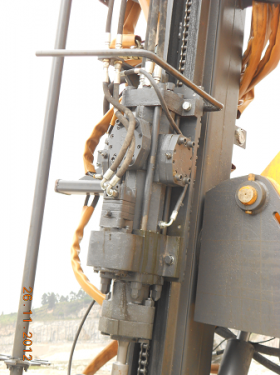 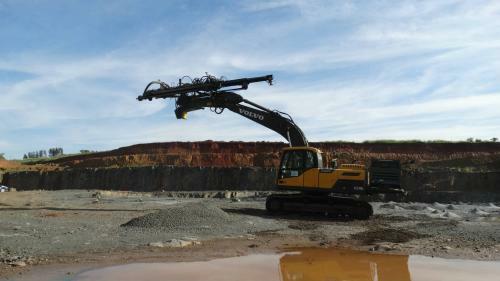 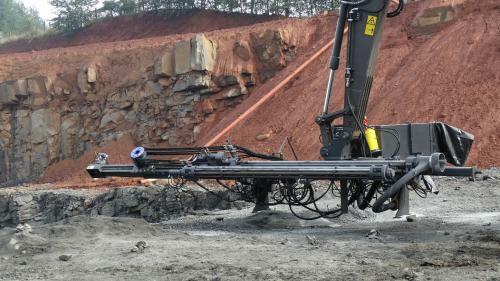 Attached to a excavator, ready for drilling and blasting contractors, quarries, rock bolting, rock stabilization. 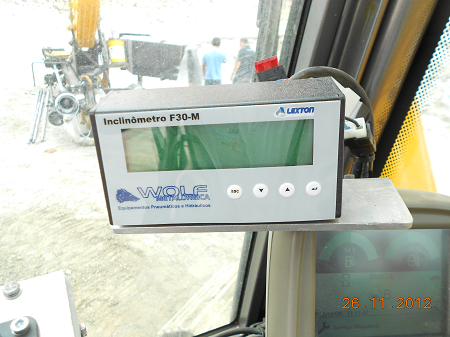 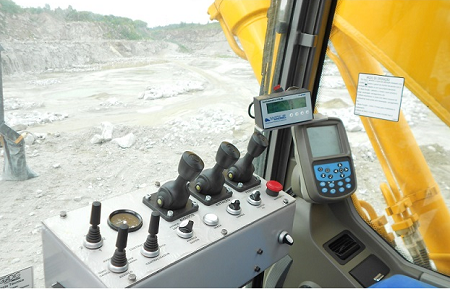 The operator controls the rig inside the cab, avoiding risks of accident. 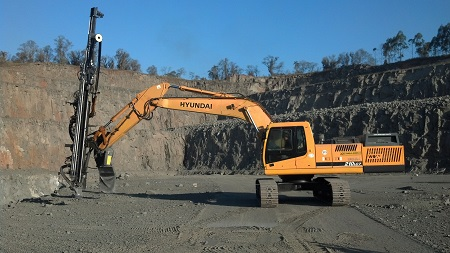 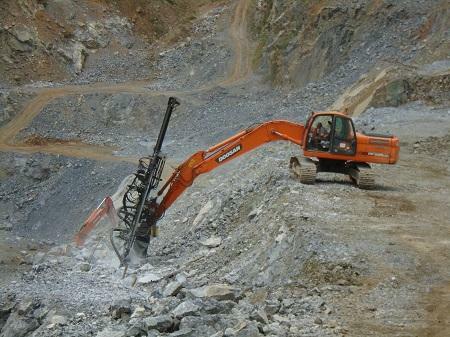 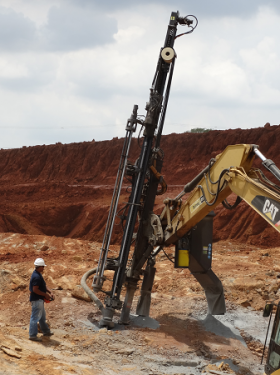 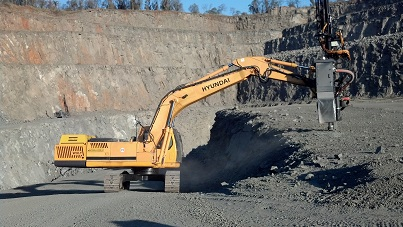 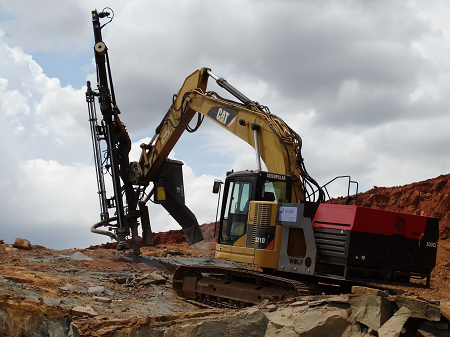 In few minutes, with a unique equipment, we have: drilling, demolition and excavation. 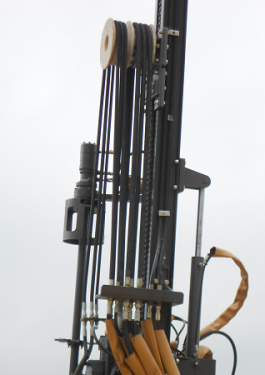 Nitrogen Charger (cylinder not included).